Michael H. Cohen is an attorney, writer and futurist who counsels leaders in the health & wellness industry. He is a thought leader and keynote speaker on launching and growing innovative health & wellness businesses, while navigating legal and regulatory liability. By combining his knowledge of legal strategy and technological innovation, he promotes business models that advance the future of medicine and humankind. From digital, mobile, wearable, and virtual reality, and other convergent, exponential technologies, to integrative and spiritual health, Michael H. Cohen is the Go To speaker for businesses and organizations bringing disruptive products and services to market. How Business Leaders Can Navigate Legal Complexities and Lead Health & Wellness Innovation in the Next 5 Years: Healthcare futurist and attorney Michael H. Cohen forecasts how law and regulation governing medical technology are shaping our future. Health and wellness futurist Attorney Michael H. Cohen counsels leaders on how emerging medical technologies will redesign not only business–but also the future of consciousness. From mobile medical apps to health and fitness wearables to virtual reality, patient engagement is here to stay in self-help technologies that track our health footprint. Michael goes beyond both utopian and apocalyptic scenarios to a visionary synthesis of hope for our species. Faster, Cooler, Cheaper: Are the New Exponential Health Technologies a Patient’s Dream or Privacy Nightmare? Health law pioneer and Silicon Valley attorney Michael H Cohen describes how accelerating exponential health technologies spell the end of privacy–and the birth of a new order for humanity’s extension into the cosmos. Michael H. Cohen, healthcare and FDA attorney, inspires entrepreneurs and traditional businesses how to understand and profit from the Internet of Experiences. 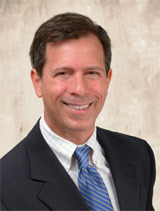 Healthcare futurist and lawyer Michael H. Cohen breaks the code to bringing your health and wellness ventures to market. Michael H. Cohen, formerly a Harvard Medical School and Harvard School of Public Health professor, describes how industry trends can and must push past regulatory barriers, dissolving geographic boundaries and creating a new era of ubiquitous, constant care. Michael H Cohen, a leading attorney, writer, and futurist, describes work-life balance in the corporate world. Is the next app the answer to life’s problems? Many entrepreneurs think so. Healthcare and FDA attorney Michael H. Cohen explains how the legal and regulatory framework both shackles, and accelerates medical breakthroughs, and even human evolution. A third of all Americans use complementary and alternative medicine-including chiropractic, acupuncture, homeopathy, naturopathy, nutritional and herbal treatments, and massage therapy-even when their insurance does not cover it and they have to pay for such treatments themselves. Nearly a third of U.S. medical schools offer courses on complementary and alternative therapies. Congress has created an Office of Alternative Medicine within the National Institutes of Health, and federal and state lawmakers have introduced legislation authorizing widespread use of such therapies. These institutional and legislative developments, argues Michael H. Cohen, express a paradigm shift to a broader, more inclusive vision of health care than conventional medicine admits. Cohen explores the legal issues that health care providers (both conventional and alternative), institutions, and regulators confront as they contemplate integrating complementary and alternative medicine into mainstream U.S. health care. Challenging traditional ways of thinking about health, disease, and the role of law in regulating health, Cohen begins by defining complementary and alternative medicine and then places the regulation of orthodox and alternative health care in historical context. He next examines the legal ramifications of complementary and alternative medicine, including state medical licensing laws, legislative limitations on authorized practice, malpractice liability, food and drug laws, professional disciplinary issues, and third-party reimbursement. The final chapter provides a framework for thinking about the possible evolution of the regulatory structure. This book is the first to set forth the emerging moral and legal authority on which the safe and effective practice of alternative health care can rest. It further suggests how regulatory structures might develop to support a comprehensive, holistic, and balanced approach to health, one that permits integration of orthodox medicine with complementary and alternative medicine, while continuing to protect patients from fraudulent and dangerous treatments. Consumers increasingly are turning to complementary medicine, such as acupuncture, chiropractic, naturopathy, massage therapy, dietary supplements and herbs, energy healing, meditation and yoga, and mind-body therapies. This book addresses the growing interest in the legal, ethical, and regulatory aspects of integrating such care into conventional clinical settings. Integration of divergent philosophies, paradigms, and practices requires responsible investigation, informed judgment, and open-minded yet critical study and analysis of various systems of healing. Michael H. Cohen offers providers and policymakers vitally important information by addressing questions such as credentialing, malpractice, informed consent, and liability for referrals. He describes both practical strategies for minimizing liability, as well as the necessary future evolution of the legal and regulatory structure. Cohen also probes uncharted ethical and bioethical issues in complementary medicine and integrative health care. He further explores the connection between law, medicine, and spirituality and the role of this connection in human evolution. The book's range mirrors the integrative process itself, a process of grappling with, and meaningfully assimilating, disparate traditions and unfamiliar ways of thinking about the significance of health, body, and being. Beyond Complementary Medicine is required reading for anyone involved in health care, including executives, insurers, managed care organizations, attorneys, ethicists, and lawmakers; physicians integrating complementary and alternative therapies; complementary and alternative medicine practitioners; medical schools, law schools, and educational institutions offering programs in health care, public health, and complementary therapies; companies manufacturing herbs and dietary supplements; and most of all, patients and their families. Future Medicine is an investigation into the clinical, legal, ethical, and regulatory changes occurring in our health care system as a result of the developing field of Complimentary and Alternative Medicine (CAM). Here Michael H. Cohen describes the likely evolution of the legal system and the health care system at the crossroads of developments in the way human beings care for body, mind, emotions, environment, and soul. Through the use of fascinating and relevant case studies, Cohen presents stimulating questions that will challenge academics, intellectuals, and all those interested in the future of health care. In concise, evocative strokes, the book lays the foundation for a novel synthesis of ideas from such diverse disciplines as transpersonal psychology, political philosophy, and bioethics. Providing an exploration of regulatory conundrums faced by many healing professionals, Cohen articulates the value of expanding our concept of health care regulation to consider not only goals of fraud control and quality assurance, but also health care freedom, integration of global medicine, and human transformation. Future Medicine provides a fair-minded, illuminating, and honest discussion that will interest hospice workers, pastoral counselors, and psychotherapists, as well as bioethicists, physicians and allied health care providers, complementary and alternative medical providers (such as chiropractors, acupuncturists, naturopaths, massage therapists, homeopaths, and herbalists), and attorneys, hospital administrators, health care executives, and government health care workers. Legal Issues in Alternative Medicine will help you understand the legal environment for CAM therapies, help craft institutional policies governing CAM providers, address credentialing, liability, and dietary supplements, and learn about your legal rights relating to these therapies. Buy a copy for yourself and an extra copy for your attorney, and hopefully save thousands of dollars, by educating your attorney about this specialty area of law. One of the transformations facing health care in the twenty-first century is the safe, effective, and appropriate integration of conventional, or biomedical, care with complementary and alternative medical (CAM) therapies, such as acupuncture, chiropractic, massage therapy, herbal medicine, and spiritual healing. In Healing at the Borderland of Medicine and Religion, Michael H. Cohen discusses the need for establishing rules and standards to facilitate appropriate integration of conventional and CAM therapies. The kind of integrated health care many patients seek dwells in a borderland between the physical and the spiritual, between the quantifiable and the immeasurable, observes Cohen. But this kind of care fails to present clear rules for clinicians regarding which therapies to recommend, accept, or discourage, and how to discuss patient requests regarding inclusion of such therapies. Focusing on the social, intellectual, and spiritual dimensions of integrative care and grounding his analysis in the attendant legal, regulatory, and institutional changes, Cohen facilitates a multidisciplinary conversation about the shift to a more fluid, pluralistic health care environment.